FREE AND FAST U.S. SHIPPING! Orders over $150 ship free, and fast! 4PM PT cutoff, AK & HI excluded. The new, improved way to handle business and public safety. 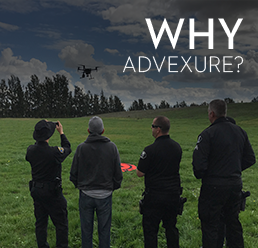 Get the mission done safer and easier with the help of our drones' powerful aerial imagery. Ensure the safety of your team during inspections by utilizing the unmatched efficiency and zoom offered by the Zenmuse Z30 payload option. Canvas large areas in shorter amounts of time, gathering vital information such as temperature and inspections. Optimize your yield with fast and easy crop management afforded by the XT thermal camera, allowing you to better understand the health of your fields. Fly supplies to victims in need or discover the best route to rescue them without ever putting yourself or your team in danger. Capture gorgeous aerial footage of your listings to show potential buyers the true nature of the home. Inspect the functionality and state of powerlines without the need for expensive heavy machinery, capturing all of the footage for later review. Assess the emergency more efficiently, easier, and safer to allow for the best decisions to be made as quickly as possible. Map out and assess areas in a fraction of the time, capturing the data to create a focused vision of the future. Canvas build sites to ensure the quickest and easiest path to completing the project - all without the need for costly heavy equipment. Inspect the state of cell towers quickly and without ever having to leave the ground to do so. Assess every angle of a bridge in one easy flight, including the underside with the addition of the upward-facing gimbal. This multi-purpose professional and commercial series of drones is designed to meet the demands of enterprise users for aerial inspections and data collection. The CrystalSky Monitor features an ultra-bright screen that is clearly visible in bright sunlight.